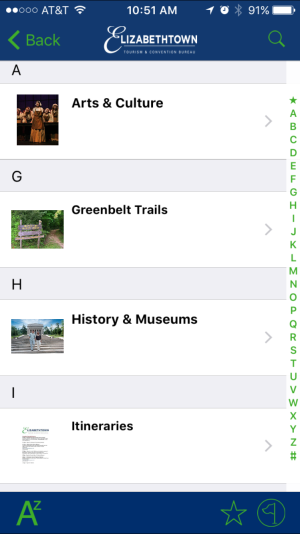 Download our FREE smartphone app! Elizabethtown, Kentucky offers a wealth of activities and experiences that will create lasting memories. With small-town charm and all the vibrant attributes of a much larger city, Etown delivers with history, arts, dining, and shopping. 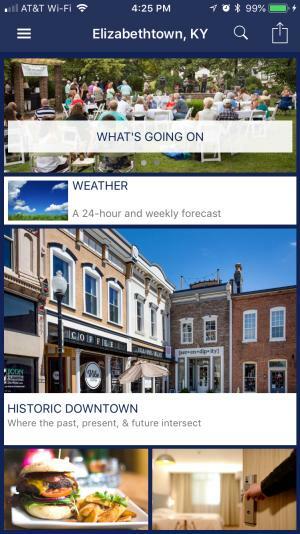 The Elizabethtown App will enrich your visit to Etown and Hardin County by providing restaurant and hotel choices, as well as an interactive tour of historic downtown. From the birthplace of Lincoln to the birthplace of bourbon, from Mammoth Cave to world famous Fort Knox, when you stay in Elizabethtown, you’ll discover a new surprise everywhere you look.